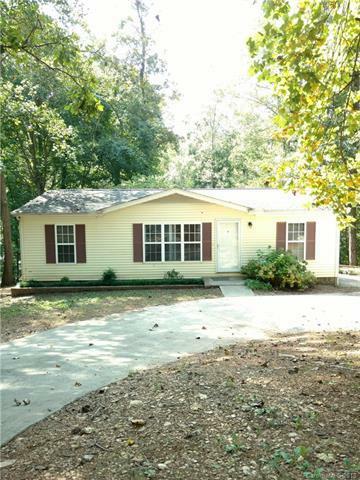 3BR 2BA home with Huge Deck on back overlooking private, wooded 1.41 Acre; Recent Luxury Vinyl Tile in Living, Master & Bedroom; Master Bath has 2 Sinks, Garden Tub & Linen Closet; Kitchen has Range, Range Hood, Dishwasher, Pantry & 18 month old Refrigerator; Separate Laundry Room; Split Bedroom Plan; Vinyl Windows 2016, New Kit. sink faucet just installed, New back door 2016, Roof new 2012, HVAC 2010, Move in Ready. NO HOA Dues. Concrete Circle Drive; Near Schools, Restaurants, Shopping & Churches in Fast-growing Indian Land. Great Investment.